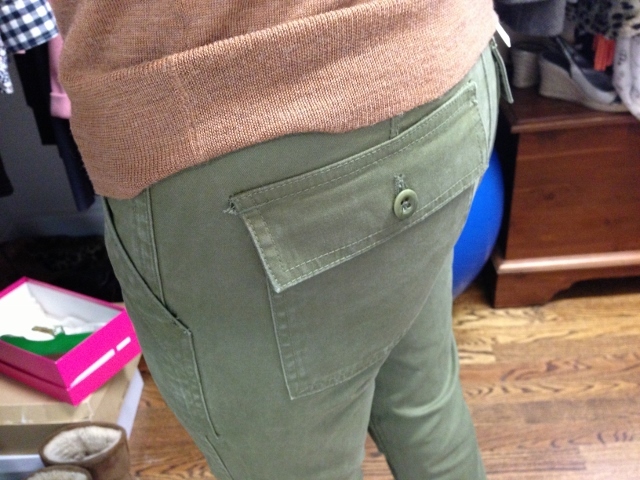 My Skinny Utility Chinos arrived today from J Crew. and even though they were backordered, I was able to snag them with the last 30% off promo...bringing the cost to $62 and change. They retail for $89.50. They are made of 98% cotton and 2% spandex. and I would say the fit is tts. 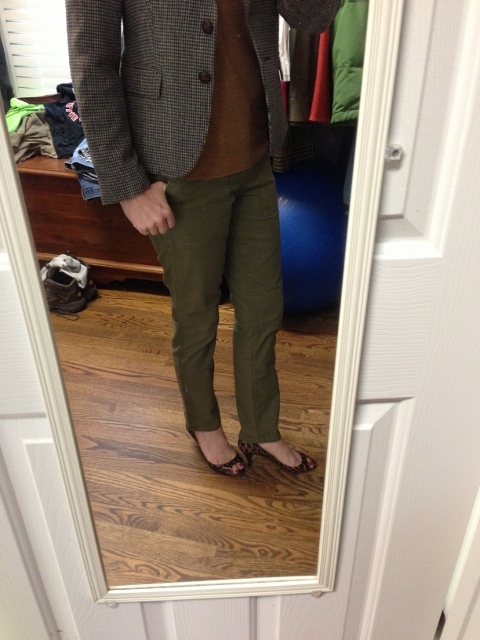 I went with a size 2, which is the smaller of my J Crew pant sizes. I am wearing the Tuscan Olive. 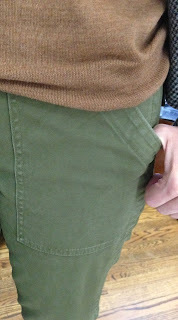 Also, the inseam measures 29 inches. and I am 5' 5" for reference. I think they are super cute and will be a great alternative to traditional skinny jeans. Have you given these a try? If so, what were your thoughts? They look great and I agree, a nice alternative to jeans. I haven't tried these but I bought the J Brand Houlihans a couple of years ago and a skinny black stretch cargo that J.Crew had last year or the year before, I can't even remember. I wore both of them a lot and still have the Houlihans. I recall the J.Crew version wore out but they were quite a bit cheaper so I probably got my money's worth in the end. Now I am going to go dig out the Houlihans and put them on top of the pile. 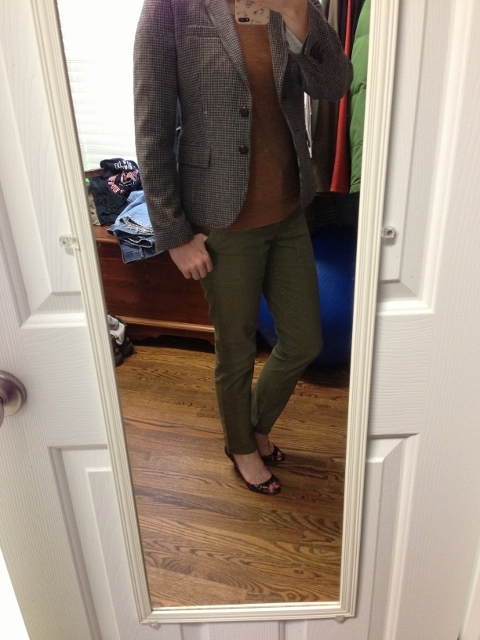 Andrea,they look great on you! 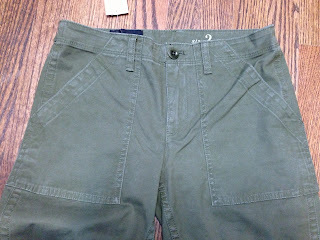 I have a similiar skinny cargo from Closed,but i might give them a try. 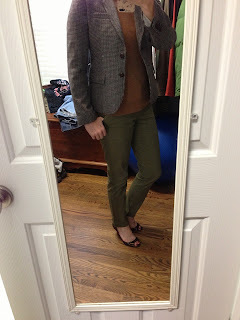 You always look great in J.Crew skinny pants, lucky girl! these are cute...just not on me as I am very short waisted. If that is not your issue, you will enjoy them. They seem to run a bit big. Normally, I am a 26 or 27 and I was b/t a 0 and a 2.